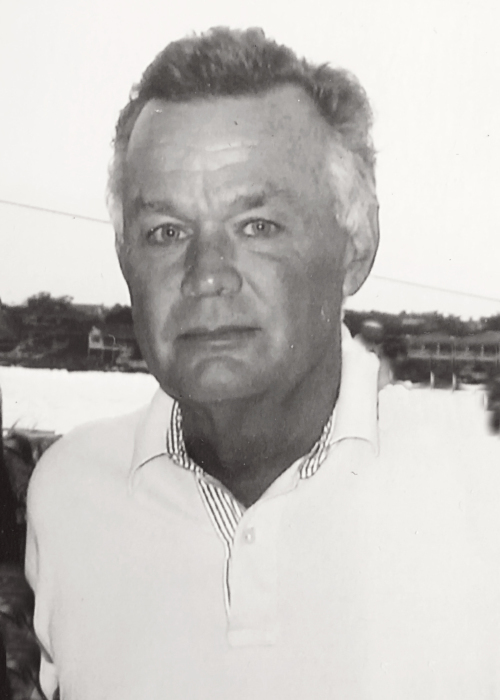 Dr. Douglas Hendon Clark Jr, 69, died suddenly at his Concord N.C. home on December 4, 2018. He was born January 14, 1949 to Carolyn Jordan Clark and Dr. Douglas Clark Sr. He grew up in Lumberton, N.C. where he distinguished himself as an Eagle Scout, a champion golfer, and an accomplished student and athlete. He graduated from Davidson College in 1971—he was MVP of the Davidson Golf team—and received his medical degree from the University of North Carolina at Chapel Hill in 1975. He was certified by the American Board of Pediatrics in 1980 and practiced pediatrics in Concord until his retirement. His love of golf led him on many travels including Bermuda where he won the Bermuda Amateur and to Royal Dornoch, Scotland where he was invited to play in the 1985 British Amateur Championship. He was an avid hunter—member of the North State Game Club—and fisherman, and he relished time around the campfire trading tall tales. A natural at just about anything, when he took something up, he quickly mastered it, from cooking to tennis, water-skiing to drawing. He had an intense curiosity and had intriguing details at his fingertips from his extensive and varied reading sources. And you better believe he used those stats and facts to win an argument or prove a point. Doug was a dedicated naturalist. He could identify birds by their songs and their flight patterns. He preferred back roads to highways, and the road maps in his mind were marked by Chinaberry trees and running creeks, marshes and soy bean fields. Charming, he had a rare ability to make everyone feel special and valued by him. In recent years he and his wife Frieda undertook extensive travels including Scotland, Ireland, Jackson Hole, Bermuda and Alaska. They also loved their time together with their family at their beloved Ocean Isle home. Doug could be found most days on the dock with a fishing pole in hand. Doug is survived by his wife, Frieda Miller Lowder Clark of Concord, daughters Carolyn Clark Rasmussen (Alan) of Boone, N.C. and Margaret (Meg) Clark Johnson (Brandon) of Asheville, son Douglas Jordan Clark Vergara of Mt. Pleasant, S.C.; step-children Jake Lowder (Dana) of Greensboro, N.C., Nicole Layden (Justin) of Clayton, N.C. and siblings Spencer Clark (Sarah)of Rockville, Md., Jordan Clark (Patti) of Atlanta, and Mary Jo Clark (William Brown) of Montreat, N.C.; grandchildren Everleigh Clark Rasmussen, Carlisle Grayson Johnson, Lyles Layden, Carson and Miller Lowder. A visitation will be held at Hartsell Funeral Home, 460 Branchview Dr. NE, Concord, NC on Thursday, December 6 from 6-8 pm. Graveside service on Friday, December 7 at Clarkton Cemetery, Clarkton, Bladen County, NC at 1 pm. Memorials may be sent to Levine Children’s Hospital Children’s Cancer Fund, 1000 Blythe Blvd., Charlotte, NC 28203 or First Presbyterian Church Disaster Relief, P.O. Box 1061, Lumberton, NC 28359. Hartsell Funeral Home of Concord is serving the Clark family.